Editor’s note: James Hardy is Asia-Pacific editor of IHS Jane's Defense Weekly. The views expressed are his own. North Korea's announcement via state TV that it was preparing to target Guam, Hawaii and the continental United States – and had readied its “rocket and long-range artillery” forces for the purpose – has inspired a cacophony of speculation across the globe. But the fact is that despite the bombast, and unless there has been a miraculous turnaround among North Korea’s strategic forces, there is little to no chance that it could successfully land a missile on Guam, Hawaii or anywhere else outside the Korean Peninsula that U.S. forces may be stationed. 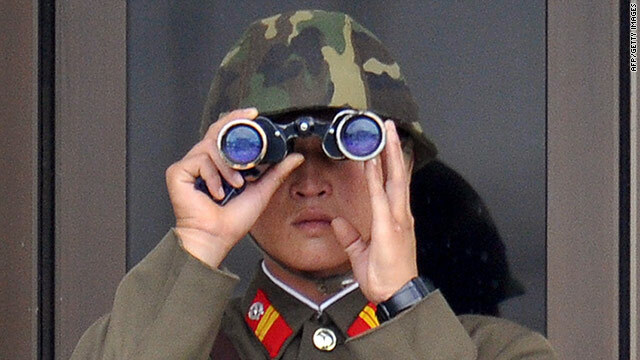 This hasn’t stopped North Korea trying to muddy the water – its latest threats were accompanied by images of the latest drills by the Korean People's Army. Witnessed by Kim, images flashed up of female North Korean soldiers firing Type 63 multiple rocket launchers and a massed hovercraft landing on a tidal flat. The problem is that there’s a good chance the images were photoshopped. Aside from that, all we were treated to was Kim operating some pretty rickety computer systems. It is, of course, easy to dismiss North Korean rhetoric, because most of the time it seems so detached from the rest of the world's version of reality. But as any longtime Pyongyang watcher will tell you, underneath the verbal pyrotechnics there is an undeniable logic to the North's pronouncements. In this case, Kim is under probably the greatest international pressure he has experienced since taking over from his father in December 2011. Last month's nuclear test appears to have been a step too far for China, which is reportedly actually enforcing the U.N. Security Council sanctions that it joined in passing earlier this month. Meanwhile, the United States and South Korea have recently concluded a series of major military exercises, and earlier this week agreed to a contingency plan to deal with any North Korean “provocations.” This agreement is vital for the United States, which had seen South Korean patience with its northern neighbor shrivel following the sinking of the South Korean corvette Cheonan in March 2010 and the shelling of Yeonpyeong Island in November of the same year. The last thing the U.S. wants is an overreaction by South Korea that could lead to a full-blown international crisis. Kim is also responding to the announcement by new U.S. Defense Secretary Chuck Hagel that the continental U.S. is going to get more ballistic missile defense interceptors based in Alaska, specifically to neutralize any potential North Korean threat. So Kim's under international pressure. And he's also probably under considerable internal pressure to maintain the Songun, or “military first” policy espoused by his father that ties the regime's success to the armed forces. Certainly, speculation that Kim's accession would see a rebalancing of the North Korean political system away from the military and toward the Korean People's Party has been rebutted by the predominantly military postures he has adopted in recent months. But this is just some background to this week's threats, and begs the question of whether North Korea’s bark is worse that its bite. The answer is probably yes. North Korea doesn't appear to have the capability to carry out its latest threat to attack U.S. bases in Hawaii, Guam or the U.S. mainland. From what we know of its existing inventory, it does have Scud derived missiles that could complicate the situation on the Korean Peninsula, and they could likely reach Japan. But anything further is probably an empty threat. For all the hoopla surrounding the Unha-3 rocket that was used to launch a satellite in December 2012, the fact remains that it was ballistic missile technology, not a ballistic missile. That leaves the KN-08, which was unveiled at last April’s military parade in Pyongyang. Hagel's announcement that the U.S. was ramping up its ballistic missile defenses on the west coast/Alaska was interesting because Pentagon officials used the KN-08 as a rationale for the move, but then refused to divulge the intelligence they have on it. There are two possible trains of thought on this: either America knows something about this missile that means it is taking it seriously, or it is using its existence as an excuse to ramp up their Asia-Pacific facing missile defenses. The latter would tie into Washington's “pivot” plans for Asia-Pacific, but will not be lost on China, which has already signaled its lack of enthusiasm for any such moves. All this said, the KN-08, if it becomes operational, is still likely to pose a problem for the United States in the medium to long term. But for now, North Korea is not in a position to wage a war with the United States or South Korea, and will instead have to rely on asymmetric “provocations.” What could these involve? Most likely, activities such as last week's cyber attack on South Korean media and banks. Or, if Kim needs more bang for his buck, then another shelling of South Korea's Yellow Sea islands or even a naval skirmish. Regardless, the logic behind them all is clear: as long as the U.S. threatens regime survival, whether by sanctions or treaty alliances, the North Korean regime will do its damnedest to make life difficult for Washington, Seoul and Tokyo. But those bases that Kim has been threatening will be safe for a while yet. « Previous entryDo high taxes prompt millionaires to flee? Hey stop! I'm making good money selling paranoid people end of the world kits. Simply put , North Korean military leaders are oustanding and professional beggars – for food (mostly for their soldiers). Every provocation they made are time tested and effective begging strategies. Why do they resort to begging? If you know them well enough, you would think these military leaders are are just too lazy, and apathetic towards their own citizens. Kim Jong Il once said that he is willing to sacrifice all of his citizens to fight America. Adolf Hilter said the same thing. However , what these NK military leaders are good at is – looking after their own family interests, the welfare of their extended families – many of whom are living, and the children studying, overseas. Their families are ready and prepared to flee NK when it implodes. In 1990, North Korean leaders allowed more than 2 million of its mostly rural folks to starve to death. They knew about the bad food situation, but preferred to turn their faces away, ignoring the dire situation. Entire rural families who were too weak to even walk were literally crawling on the parched empty fields searching for insects to eat. KJI and KJU were aware of the mass starvation, but did nothing to prevent or stop that imminent disaster. correcton: "KJI and KJU were aware of the mass starvation, but did nothing to prevent or stop that imminent disaster." should read "KIS and KJI were aware...."
i dont think any one in NK.is that dume not even in the nut hut that 1s doing a better job at killing it,s self then any 1 any 1 has ever seen,.pnm,.ps.way mass with it????????????????????????????????????//,.pnm,. ifin you would say an/or send jedas there the war would over 4 good,.pnm,.ps.that go,s 4 NK.to///////////,.pnm,. Thanks for another informative site. Where else may I am getting that kind of information written in such a perfect manner? I have a challenge that I'm simply now running on, and I have been on the glance out for such information. NK has around 80 submarines! Some of them probably are able to reach mid Pacific and further and launch the middle range missiles toward Hawaii ,Guam or somewhereelse. To lay down nuclear mines is just another option!